It is that time of the year again where you need to think about the kind of gift you want to send your customers. It is always a difficult decision to make especially considering the huge range of gift ideas that you have to choose from. If you just look at our website alone there are thousands of gifts available to give your clients. All of which are great ideas in themselves which doesn’t make the task any easier. One such gift choice is Custom Mugs. 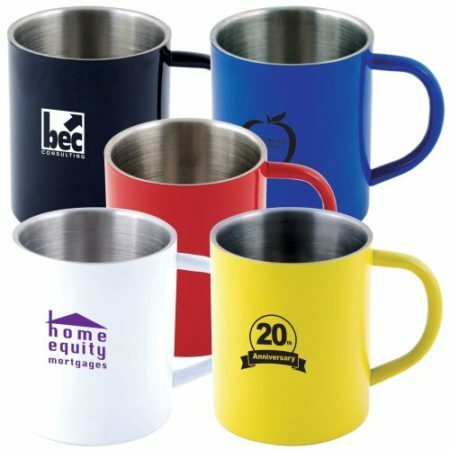 Custom promotional mugs are a great gift choice at this time of year. Not only are they an inexpensive gift but they are easy to brand and come with a large print area. Although they are in inexpensive Christmas gift you can enhance the perceived value of the item by packing them in a gift box or even bundling them with other items such as in a gift pack. That said there are a huge assortment of mugs to choose from with a range of pricing which means to can fit them into any budget you have. The most common printing method got custom coffee mugs is pad printing. With this print method you can print up to 4 colours. In places where you require multiple colours or a logo with a gradient then we also have digital print option. Finally there is the photo print option which allows you to print and image on the coffee mug. Current technologies also allow you to do wrap print all around the mug for added effect.